It is a multi-purpose cash loan with no collateral requirement and comes in affordable payment terms. With BPI Personal Loan, it's easy to get extra cash that you can use to provide for your needs today and fulfill your plans for tomorrow. Keep your employees happy and productive while you focus your funds and other resources on core business operations. Partner with us and let BPI facilitate their extra cash needs, from loan processing to managing monthly payments, for you. We offer a loan program to companies who want to provide preferential and exclusive loan rates for their employees. Account monitoring is easily available via Express Online and our customer service team. To know more, fill out the inquiry form so we could contact you. What are your goals and dreams this year? Make your best plans happen with a personal loan. 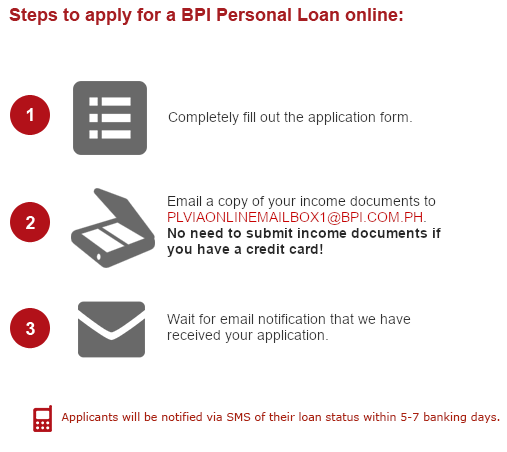 BPI Personal Loan helps you get extra cash for your different needs – home renovation, education, business, travel, or anything else you need now. A Personal Loan is a good financial tool that can help you pay for immediate and planned needs where cash payment is most beneficial. Get up to 3x your monthly income! Loan any amount ranging from Php20,000 to Php2,000,000. BPI offers one of the lowest rates in the market, pay as low as P796 per month*! With BPI Personal Loan, mas kaya pa! •Find out if you are ready to apply for a personal loan by taking our Loan Readiness Test. Abutin ang pangarap para sa pamilya. 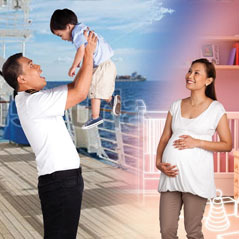 Fast cash para sa home renovation, appliances, education ng anak, negosyo o ano mang pangangailangan. Minimal requirements lang ang kailangan. Check our list of requirements. Ang monthly installments ay mas maikli ng isang buwan kaysa job contract mo. Wala ng iisiping loan payments sa’yong pagbalik. Hindi kailangang pumila sa branch o mag-issue ng post-dated checks. Maaaring i-set up ang Auto Debit Arrangement (ADA) sa iyong BPI account para sa monthly payments. Ang first monthly installment ay ibabawas sa loan amount at ang ADA ay mag-uumpisa 60 days matapos ma-release ang loan. Ready ka ba mag-apply? Maaari mo’ng subukan ang Loan Calculator para malaman. (ii) disclose any information provided to any person or entity. For this purpose, I agree to indemnify and hold BPI Personal Loan free and harmless from any and all claims, liabilities, damages, suits or causes of action of whatever nature, now or hereafter arising from or in connection with the foregoing authorization.